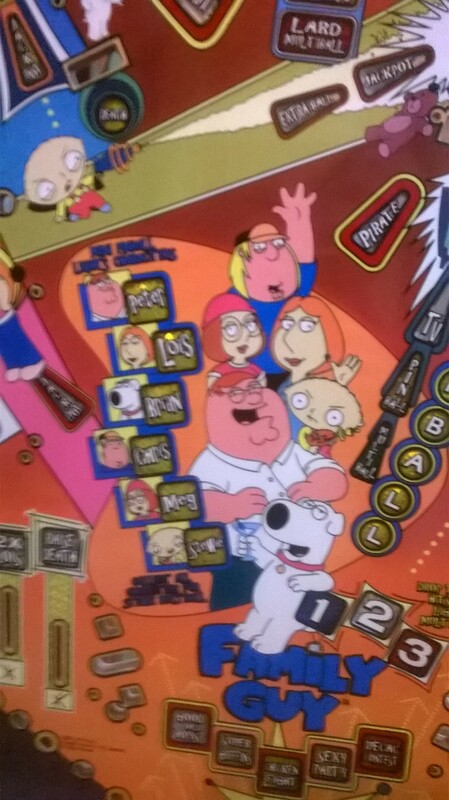 Join Peter, Louis, Meg, Chris, Stewie and Brian in all the fun of Family Guy by Stern. A great Pat Lawlor design with one of the coolest upper playfields ever created. 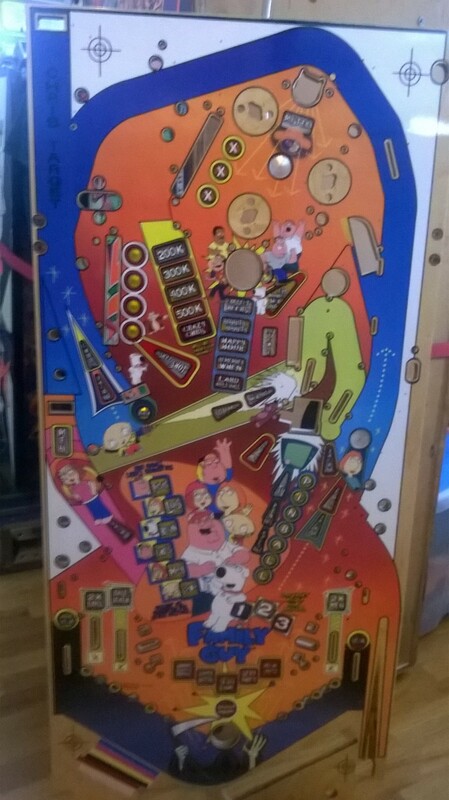 This NOS playfield will get your machine back into the shape a classic animated sitcom deserves, $850.